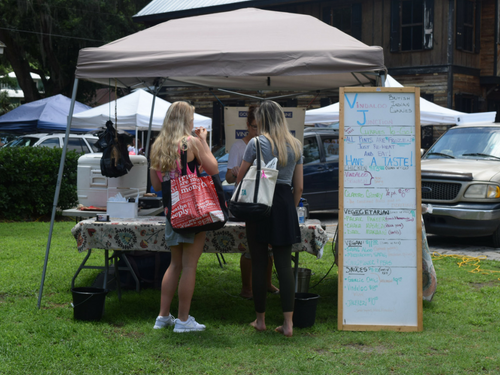 My afternoon at the Bluffton Farmer’s Market was full of surprises! I wandered around and found a vendor called Delisheeyo. This business is all about eating healthy. I tried a slice of toast with avocado. Amazing! 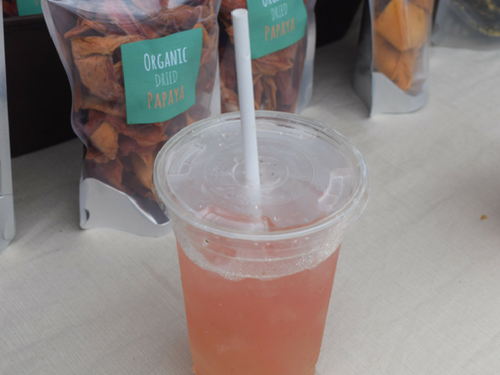 I also tasted a watermelon lemonade beverage, not only did it quench my thirst; the beverage had a paper straw. (There are rumors in town of plastic straws slowly being eliminated, now I have confirmation.) The owner has been in business for eight years and Delisheeyo is located in Hilton Head on the South end of the island. I’m there! 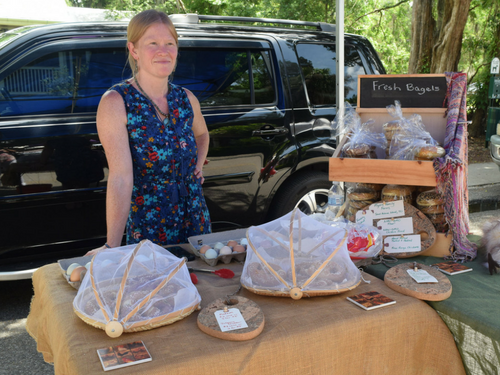 Myers Family Farm had something out of the norm for the Bluffton Farmers Market, fresh bagels! I could not resist because in the five years I have lived in the area, it has been very difficult to find a tasty and fresh bagel. The vendor said it takes her two days to make them. 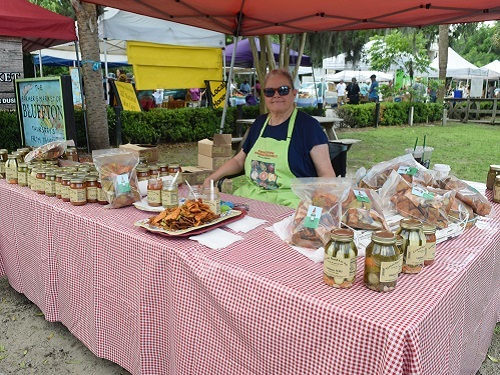 She sells flavors such as Fresh Strawberry, Poppy, Sesame, Plain and more! I bought a variety pack. I wanted to continue shopping so the vendor suggested holding on to my package until I was ready to leave. How thoughtful. The next morning I tried the Sesame bagel. It reminded me of a New York bagel! I’ll be back! PEP stands for Programs for Exceptional People. 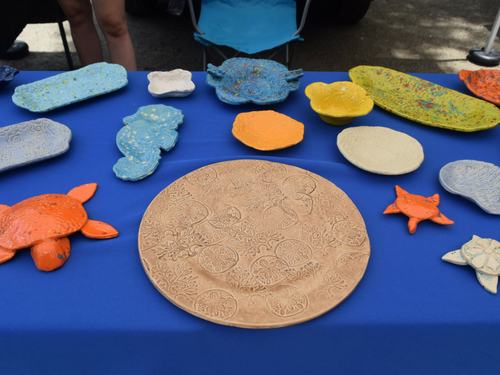 This booth is unique because it’s a program that sells crafts made by people who have disabilities. There are around 60 – 70 members. Their mission is to promote independence, social interaction and employment opportunities for adults who live with intellectual disabilities. My fascination is the work put into each item. Each person labeled what they created. I enjoyed speaking to Elise Maglione who is a college student volunteering at PEP. Kudos to Elise and the members! 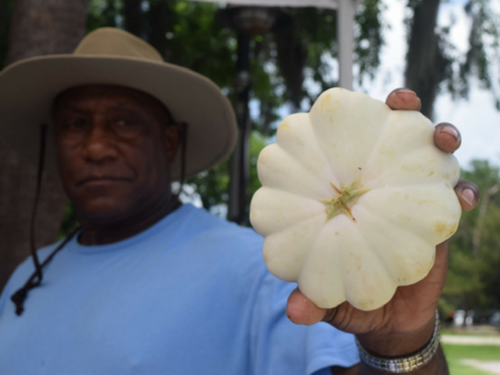 I came across a vendor that had something rare, a mushroom squash (aka Peter Pan Squash). The color caught my eye. The shape resembled a mini pumpkin. The owner of Otis Daise & Son was kind enough to hold it up for me so I can take a closer look. The most unusual vegetable I have seen in the Lowcountry. Great Food Coop got my attention. The owner Kate sells veggie chips. The chip looked and tasted baked. I asked Kate how she made them. She said, “It’s a secret family recipe.” I appreciated her response and got a bag called “Chippy Chips!” I savored each bite of the colorful chips. The flavors had a kick but not overpowering and I tried it with peach mango salsa. The packaging was a thick plastic zip lock bag that preserved the flavors. Awesome snack! The owner does not have a restaurant but does have a Facebook page. The business card had a creative slogan “Namasté Y’all!” British-Indian cuisine is not common in the Lowcountry. If you’re an Indian Foodie then you’ll love Vindaloo Junction. 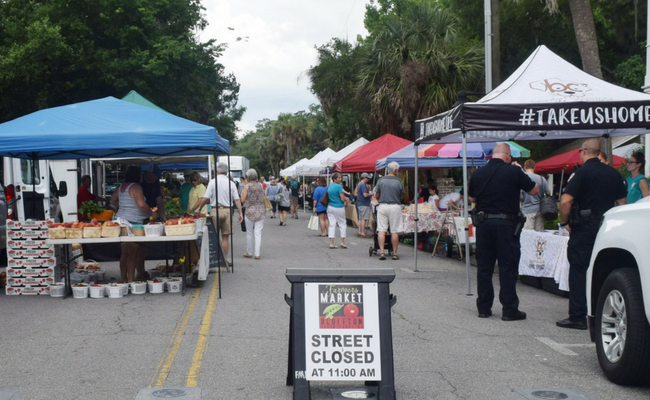 The next time you are visiting the Lowcountry and you love surprises, please visit The Bluffton’s Farmer’s Market. Open every Thursday from 1 – 6 p.m. Expect the unexpected.